Mule 3 is out and they have jumped on the cloud computing bandwagon. The Mule Cloud Connect supports Amazon AWS, Salesforce, and Facebook. 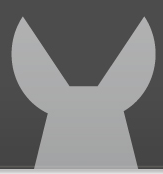 Mule 3 supports for JSON data bindings and mapping, JAX-RS, and OAuth in its core functionality. More interestingly, Mule 3 will allow subscriptions to ESB events directly, although most security infrastructures will not allow JQuery to subscribe directly to ESB events. A big focus on Mule 3 has been ease of use, meaning less cost for businesses in terms of development time, deployment, and maintenance.